Hope you all have had a great weekend so far! Mine has been crazy busy. 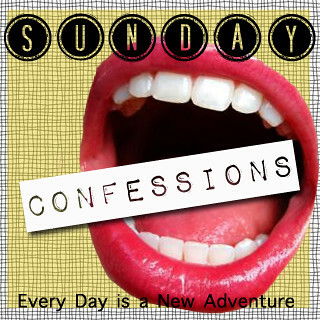 Anyway, somehow it's already Sunday, which means that it's time for confessions! Grab a button and link on up! 1. I almost threw my sewing machine out the window last night. I seriously thought it was broken, and I was so upset because I wasn't quite done with the curtains I was working on. Turns out a wheel thingy (love my technical jargon) had gotten loose, and as soon as I tightened it, it worked like a gem. 2. I'm moving to the dark side. Okay, so meal planning isn't exactly the dark side, but it is something I never thought I'd do. Turns out I was wrong. I'm a crazy lady who plans meals for the month now. If you want a great recipe, click the pic. Mmmm so good. 3. 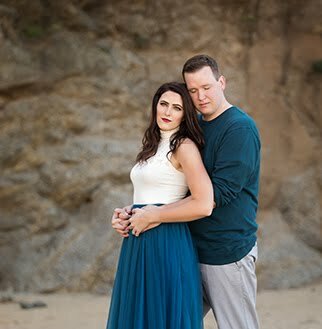 I'm honestly worried about how much crafty/DIY stuff I've been doing recently. I am not a crafty person. Who am I, and what have I done with Alyx? Someone save me from myself, please! 4. I spent approximately 10 hours yesterday watching the olympics. Ummm was anyone else shocked that Phelps didn't even place in the 400 IM? Really, dude? What have you been doing? Not training, obviously. Okay, that was harsh. I'm sorry, Michael - let's be besties. 5. I can't wait to watch women's gymnastics for hours on end. Oh, and volleyball. Those are my two favorites. Holy balls, I love the olympics. Hey Alyx! Was great to read your confessions :) I have not watched the swimming, but I am in love with tennis. Go, Federer! MMMMM that recipe looks and sounds so yummy, think I'll be giving that one a go!! I want to see these curtains Missy! imho, the real olympics do not start until the athletics events start! I've never watched the Olympics and to be honest, probably won't watch again this year. It's not really my thing. Buy a house...become domesticated. I think its great! My favorite is gymnastics too! My husband was totally surprised that I am not as excited about the Olympics as he is. It seems like it's a huge thing for Americans. I watch gymnastics like crazy. I've been glued to my computer ever since the games started. Haha. Great confessions! I don't watch the olympic unless it's for ice skating. I never got into the other sports. Oh my gosh... you need to live by me! I really want to be a crafty/diy kind of girl but I have no motivation to make it happen by myself, ha ha! And meal planning is totally the best thing that has happened to my wifey life. Makes life so much simpler! Okay, how have I not been addicted to your blog for forever by now?! haha Seriously. I have almost done the same thing with my computer that you did with your sewing machine. I also could watch gymnastics for FOREVER! and I didn't watch the swimming but I have been seeing he has been doing horribly! How sad! Oh and my GFC is being odd, but it let me follow you through it with my twitter account... who knew you could that?! Love it. I had the TV on playing the Olympics the entire day, haha. So 10 hours isn't bad at all! I can't wait to watch women's gymnastics either...they're on TV tonight! I love meal planning! It makes everything so much easier when I need to go grocery shopping. Mmm... That honey sesame chicken looks SO good. I'm tempted to make that today. my fav is gymnastics, well because i was in gymnastics for 16 years and i know one of the girls competing for the canadian team, shes from my home town ! I would be scared to put you and I in a room together with our sewing machines. One of them would blow up. I'm not kidding. Much as I pretend to be a great sewer, it just isn't true. My machine and I do battle each and every time. Phelps is kind of overrated, and he's pretty cocky. Did you hear his interview with Seacrest? I didn't like it. The opening ceremony didn't start until 10pm here!!! It was nuts. You're lucky your back in the States. I managed to stay awake until Ireland walked into the stadium but that's it. I'm a bad expat, I just couldn't make it to the USA. did you see the men's relay last night?? Holy smokes, I was dying. Mo had to come out of the bedroom and check on me. :) At least they got silver in that one! 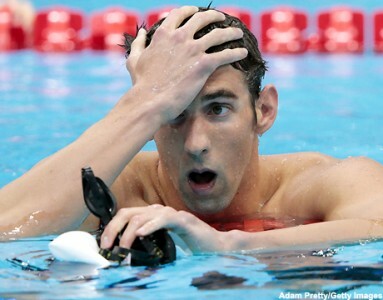 It's so nice to hear that someone else was shocked about Michael Phelps' race. It's all about Ryan Lochte now! 10 hours !? I haven't even seen one hour of the olympics yet !